First of all, I apologise! Normally I’m pretty strongly of the opinion that talk of Christmas should be avoided until Advent begins, but I’ve decided to break my rule this year in order to let you know about a few books (and one in particular) that you might want to look into now so that you’re ready when Advent comes. One of my most exciting writing achievements this year was having a piece accepted for publication in an anthology! The book is entitled “Merry Christmas, Everyone,” and there really is something for everyone! It is a mixture of fiction and non-fiction, poetry and prose- a collection of pieces reflecting on different aspects of the Christmas Story and Christmas celebrations by eighty different writers. I have read quite a few of the pieces already and been blown away by the talent of the writers and the variety of their work. I have laughed and cried, been encouraged and challenged to think. I am honoured to be included among them and I’m looking forward to reading the other contributions in the run-up to Christmas. To celebrate, I have a copy of the book which I am going to give away to a reader of this blog. Just leave a comment before 8pm GMT on Sunday 11th November to be entered into the draw. Since we’re talking about Christmas, I thought I’d mention a few other books and resources you might find helpful during Advent. With all the present-buying and party-going it’s important not to neglect the most important preparation of all! The Advent of the Lamb of God by Russ Ramsey is a beautiful retelling of the story of the Bible, summarising the events of the Old Testament and showing how they connect together and point to Jesus. It is faithful to Scripture while also sparking the imagination and bringing the story to life in new ways with some beautifully poetic writing. 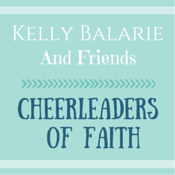 It has 25 short chapters so is perfect for an Advent study. I read the book earlier in the year to review it, but I am looking forward to going through it again at a slower pace during the month of December. You can find it on Amazon at these links: UK, US. Each section includes five short chapters, telling part of the story from the point-of-view of the character. This is followed by some questions for reflection and some creative exercises to help the reader apply the material to their own lives. The format would work well for a study during the four weeks of Advent. You can find it on Amazon at these links: UK, US and you can find a more detailed review of this book, which I wrote last year here. Finally, a resource which you can access completely free! If you’ve been around here for a while, you’ll know that I am a big fan of the Bible reading plans at She Reads Truth. I have taken part in the Advent studies there over the last couple of years (as well as many of their other studies) and have found them to be really helpful. This year’s study, Until The Son Of God Appears, begins on 2nd December, and the content will be released one day at a time on the SRT website. Typically it includes a few short Bible passages to read and reflect on, and a commentary by one of the SRT writers. There is also a comments section which is always a blessing, providing the chance to share reflections, ask questions, read others’ insights and share prayer requests with others doing the study. There are different options you can purchase- such as study books or using the plan on the SRT app, but the content on the website is completely free. He Reads Truth is also available for men! I hope you find these resources helpful as you begin to prepare for Christmas. Don’t forget to comment below to enter the giveaway! I’d love to know: What helps you get ready for Christmas? I’m grateful to Inter-Varsity Press and Netgalley for access to a complementary digital copy of The Advent Of The Lamb Of God. These are honest reviews and I only share books here that I genuinely believe will be beneficial to my readers. Amazon links are not affiliate links, but simply provided for your convenience. I am also privileged to have contributed to ‘Merry Christmas Everyone’ and feel humbled to be included among so many thought provoking and inspiring pieces. I think writing about Christmas at Easter gave a depth and poignancy that is sometimes missed amongst the tinsel and glitter. Thanks for visiting and congratulations for being included in the anthology too! Yes, it was good to focus on Christmas at a different time of year without all the distractions! Congratulations on the publication of the anthology! It always helps to remember that Jesus Christ is the reason for the season. Merry Christmas and blessings to you! Thanks, Boma! Blessings to you too! Thanks, Joanne! I think it is good sometimes to focus on Christmas at a different time away from the distraction of all the festivities! Congrats, friend! And why am I not surprised?! We tend to let our reading go dormant as the holidays … you’ve given us some very good reasons to sit quietly in the days ahead, book in hand. Thanks, Linda! It’s always good to find some quiet time with a book in the midst of the busyness! Congratulations! That is very exciting to hear you will be in the book. Thank you for letting us all know about it. It sounds great. It must have been a challenge to write about Christmas in April. Thanks, Maree! It did feel a bit strange writing about Christmas in April but I think it helped me look at it in a fresh way too. These look like wonderful resources! I’m bookmarking this so I can come back later :). Thanks, Anita! Hope you find them useful! The Spirit of Christmas should be with us year round, sounds like a great read. Yes, it’s something we should always remember! Thanks for visiting! Congratulations on being included in the anthology, Lesley. It sounds like a great resource as do the others. Thank you. 🙂 Love and hugs to you! Thanks, Trudy! I’m glad you found the resources helpful. Love and hugs to you too! Congratulations on having your essay published as part of this anthology. The book sounds wonderful! Just what is needed to get us in the Christmas spirit! Thanks, Laurie! I’m definitely looking forward to reading the rest of the book as Christmas gets nearer. Each piece is only a few pages long so perfect for a few minutes break in the middle of the busyness! HUGE congratulations to you, and I cannot think of a better first anthology than a Christmas book! Thanks, Michele! Yes, it’s a good place to start! Lesley, I’m so happy for what God did with your writing this year! Each of these books sounds valuable for preparing hearts to celebrate Jesus. One book I love is Ann Voskamp’s, The Greatest Gift. I like reading that through Advent. She always makes me think. Thanks, Jeanne! And thanks for recommending Ann Voskamp’s book. I’ve heard good things about it before but haven’t read it yet. Definitely one to look into! Congratulations! That’s quite an accomplishment! I love working through a book or devotional during Advent. It really helps me to stay focused on Who truly matters. Thanks, Karen! Yes, it’s good to have something to keep our focus on the whole point of it all! Hey Lesley, Congrats on your achievement of having your work accepted for publication in an anthology! I’m so happy for you. I’m very excited about this giveaway. I’d love to read the book. Can’t wait! Congrats again Lesley! What a blessing. And thank you for the suggestions- I didn’t know you also liked She Reads Truth! As for Christmas prep- I make many Christmas cards every year, so that’s about I begin shortly and I look forward to the time of repetitive crafting because it’s great for reflection. Thanks, Bethany! I’m surprised you didn’t know I like She Reads Truth- I feel like I’m always going on about it! 🙂 Glad to know you like it too! And making Christmas cards sounds like a fun way to relax and have some quiet time to focus on what it’s all about! So many good resources! Thanks for sharing them all and linking up at #PorchStories, Lesley! This is lovely! I published an Advent devotional several years ago (and I’m still laboring through my one for Lent) and it’s one of my favorite times of the year. Congratulations on being included in the anthology! Thanks, Bethany! Both Advent and Lent are such important times to prepare and focus. I’m sure your devotional will be great! Never too early to be thinking about Jesus! Congratulations and thank you for the resources. 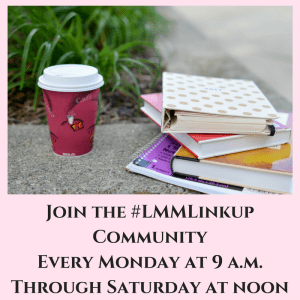 Hi, thanks for sharing your post and news on the #LMMLinkup this past week. Congratulations on being accepted in the anthology.